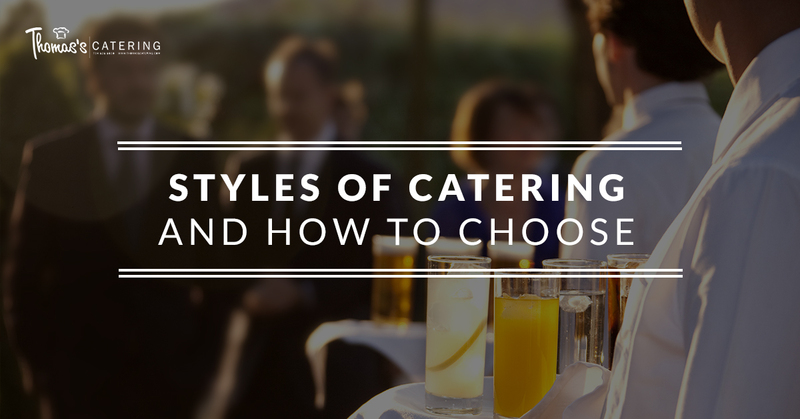 When you have finally chosen a wedding caterer, you can take a sigh of relief. One more thing is crossed off your list of the many things to plan your beautiful and special day. 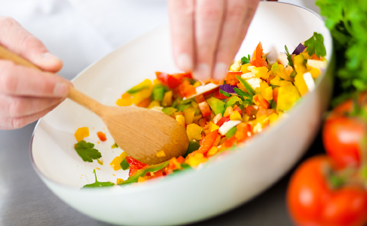 Once you have picked your caterer, the fun begins! You get to start really diving into the concept of your catering and what kind of reception style you picture in your mind. Is your wedding a black tie affair in which you want everyone to be seated eating filet mignon, or are you a little more laid back with an outdoor wedding and want just some good home style eats? Whatever scenario you fit into, our wedding catering can help design the perfect dining set up for you and your guests on the special day. At Thomas’s Catering, you and your wedding day being perfect are our priority. Our catering company is known for being friendly, professional, and accommodating to your wedding needs. We have plenty of menu options and can even design a custom menu just for you and your guests. Contact us to see why we are the best wedding catering in Livonia. Having a plated dinner is one of the most traditional concepts to follow for your wedding. Each of your guests will be served each course of the meal at their assigned seat; there will be no need for them to get up from their place since the catering staff will be bring them their food. Most of the time, you will see an average of three courses in a plated dinner starting with an hor d’oeuvres, then a meat based dish, followed by a dessert. The main course may be chosen ahead of time by guests when they RSVP for the wedding or the bride and groom can decide to give them both options during the dinner. Many people like the idea of a plated dinner because everyone will be dining at the same time. This allows for a tighter schedule when it comes to the reception over all. There sometimes is a difference in cost because the catering company will know exactly how much food they need because it has already been determined beforehand. You also can decide to have the course served separately, meaning you can have the hors d’oeuvres, and then have some speeches, eat dinner, after that have a first dance, and then finally cut the wedding cake and eat dessert at the same time. Some people nix this option because it requires a larger catering staff, which may cause them to go over budget. Additionally, since you picked the food beforehand, that’s the only option, so if someone is a picky eater or has a lot of food allergies, they may not be able to eat at your wedding. Buffet style dinners are becoming more popular as years move forward. They are a more laid back style of eating, but with many benefits. The buffet can be set up anywhere within your venue space and will have stations of food where guests serve themselves. If you don’t love the idea of the guests grabbing their own food, you can hire catering staff to serve your guests from the food stations. One of the main benefits from the buffet wedding catering is that you don’t nearly need as many servers throughout the reception. This is a great option for someone with a lower budget wedding, or if they are spending the majority of their budget on the venue itself. Remember though, you will still need catering staff to bring water to the tables and to serve the food at the stations if you so choose. Another bonus of the buffet is it comes with plenty of options, even for the picky eaters among the guests. 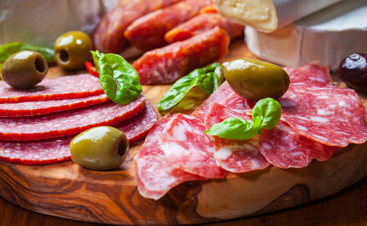 You can have meat, pasta, side dishes, and more all in one meal, which will keep your guests happy and full. A way to make the buffet style even more enjoyable is to make a game out of guests getting up to get their good. One way to do this is to play songs and see which table can guess it first. Time is the issue when it comes to buffet style dining. The reason behind this is that people are getting up table by table getting food and this can alter the chronological order of the reception. This also can sometimes make guests impatient, especially if they aren’t very musically inclined. Another thing to remember is that the guests will have to carry their own plates back to their seats; sometimes this doesn’t feel as fancy as you would have liked it to be. Finally, when you are having a buffet you have to make sure there will be enough food for all of your guests attending, and many people tend to eat a lot more when their is a buffet around, so be mindful this will also effect your wedding catering cost. 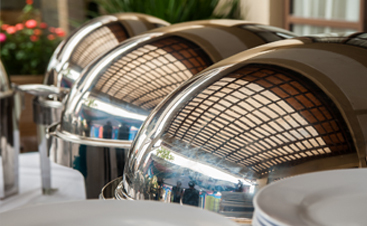 Many people confuse food stations with buffets, and there actually is a large difference between the two. While food stations still require your guests to get up and serve themselves, the stations will be themed and not all lumped together like a buffet. Their will be different stations set up throughout your reception space that your guests can all go to. You can create different themes of food such as a carving station, tapas, desserts, and so forth. The portions you get from this style of catering are smaller than a typical buffet style. Mainly, think of this as a small plate type of dinner, a little on the fancier side. Many people like this option because the catering company can get really creative with different dish ideas. The other perk is the lines will be much shorter, since the food is spread out amongst the entire area. People can pick and choose where they go next, there is no particular order. This type of meal style requires a larger venue with plenty of space for all the different food stations. You also may need more catering staff depending on what type of food stations you have set up and how much assistance your guests will need. If your guests are close knit or you have a smaller wedding, this may be the perfect meal for your big day. Family style is exactly how it sounds – big portions at a sit down dinner where everyone can serve themselves and enjoy. The catering staff will bring large portions of food to your guests tables and then your guests can dig right in! Usually, if you go with this meal style, your seating will be assigned for all your guests. Many people prefer this style of dining because it gets guests interacting and talking to one another, as if at a family dinner. Guests can also begin eating right away leaving plenty of room for all the other activity going on throughout the reception. The reasons people may not choose this option is because there has to be big enough tables to accommodate the large platters of food. Not only this fact, but the wedding catering staff need to have extra food on hand incase food runs out, which can cause the cost of catering to rise. This catering style is up and coming and like everything, has it’s pro’s and cons. This is non sit down style with hors d’oeuvres and smaller bites offered throughout. These hors d’oeuvres are usually just one to two bites but have a lot of creativity involved. There is an option for the catering staff to serve your guests with the little bites or for you to have self serve stations set up for the guests to grab and go. If you are looking for a casual laid back event, this option is great for your wedding catering. This allows you to have more guests in attendance since you don’t need to worry about plates or food portions. This also shortens eating time, leaving more time for dancing! Be aware though, without a sit down dinner the alcohol consumption may rise. Find the perfect wedding catering style with us in Livonia. Our catering staff is professional, experienced, and want you to have a perfect wedding. Call us today set up your perfect menu!